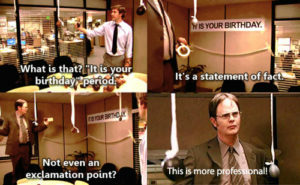 The Office captured it best when Dwight showed how hilariously bad office birthday celebrations can be. Here’s the full video. 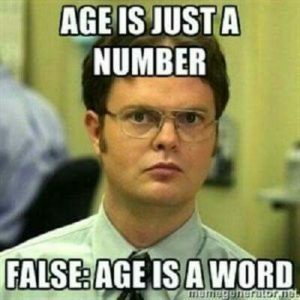 At Teamphoria our goal is to make office birthdays a lot easier! Your Time in the Spotlight: While handmade decorations and banners are nice, we are all busy at work, so having an automated birthday message pop up on the Activity Feed makes everything easy. 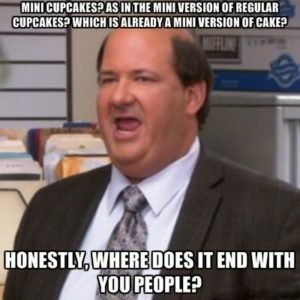 Plus we use your profile picture so we know it’s one you like! With our TV Stream feature, your birthday message will appear in the lobby, breakroom, of anywhere your office has TVs set up. 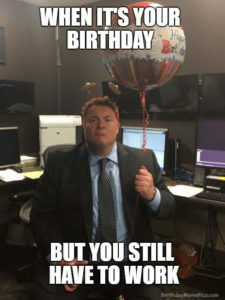 If you’re into a more personal message keep reading below for some funny birthday work memes. 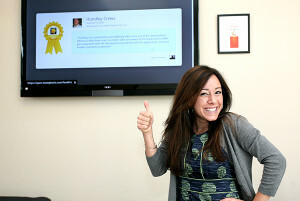 Get Rewarded on Your Birthday: Get more than cake and an office celebration on your birthday. Teamphoria has partnered with gift card and merchandise providers to offer rewards for employees’ birthdays. With hundreds of retailer options, there’s something for everyone. 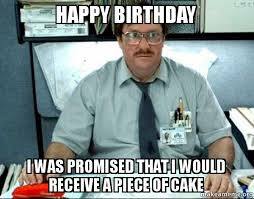 Never Miss an Upcoming Birthday Celebration: Gone are the days of running to the store for a card or cake last minute because you forgot your co-workers birthday. Teamphoria will send out digest emails with upcoming birthdays. 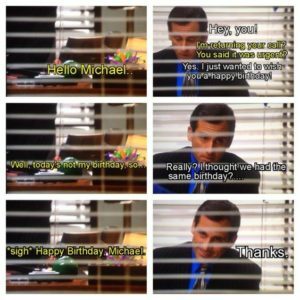 You’ll never forget another birthday. We also have a Slack integration to help remind you of upcoming birthdays! 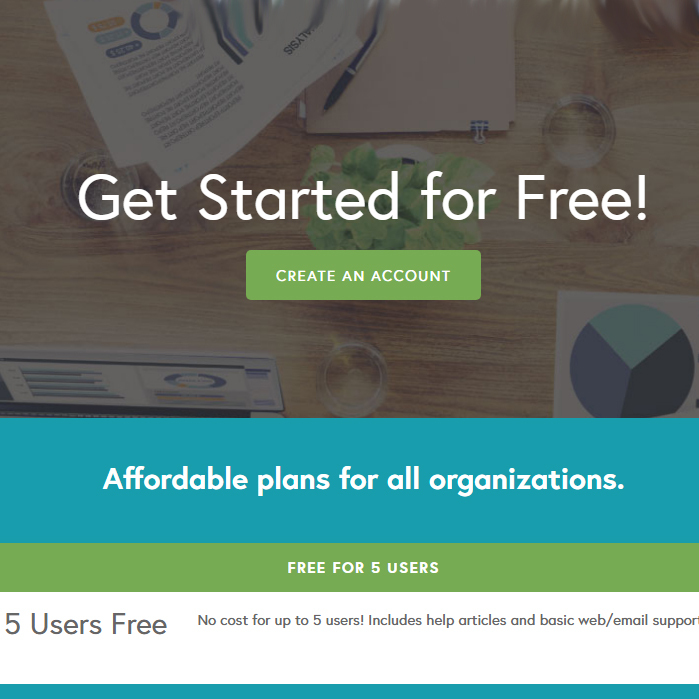 Sign up for Teamphoria’s employee engagement platform today and the first 5 users are free! 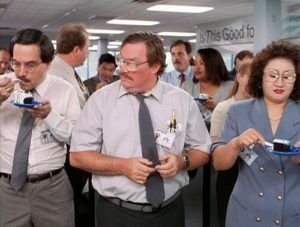 This entry was posted in Latest New Update, Breaking News, Latest News and Current News and tagged Company Culture, employee birthdays, funny birthday memes, it is your birthday, Teamphoria, the office. Bookmark the permalink.